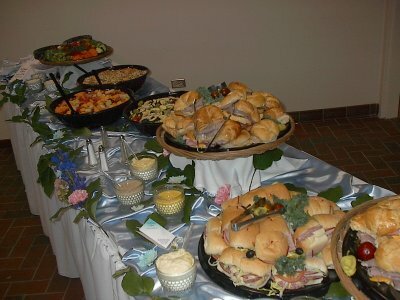 Cold Buffet menus, Cutting Edge Catering, Catering to your every Whim! Serving Joilet and the entire Chicagoland area! Light, Cool & Refreshing. Excellent Choice for Lunch. Roast Ham, American & Swiss Cheeses. Perdue® Oven Roasted Turkey Breast with Swiss on a Wheat Roll. Honey Dijon Mustard & Mayonnaise on the side. Dijon Mustard on the side. wrapped with a Flour Tortilla. Perdue® Oven Roasted Turkey Breast with Swiss on a Wheat Roll. Honey Dijon Mustard & Mayonnaise on the side. Breast of Chicken. Served with Honey Dijon Mustard on the Side. 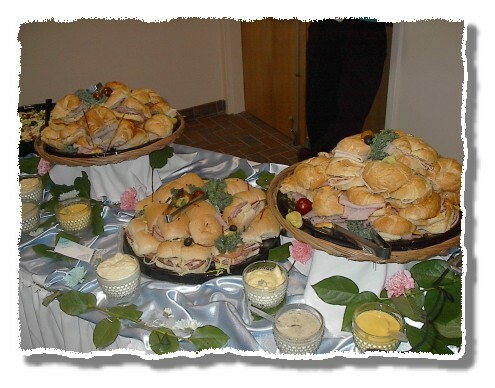 Boar’s Head® Seasoned Filet of Roast Beef ✧ Perdue® Oven Roasted Turkey Breast ✧ Brickman’s® Honey Roast Ham all Thinly Sliced & Artistically Arranged on a Platter. Thinly Sliced American ✧ Cheddar ✧ Swiss Cheeses. Other Homemade Salads Also Available. Onion, Lettuce, Tomato & Pickle Slices.